Twelve. Twelves hours. Twelve hours later. Twelve hours later with Fozzies Fender finally Fixed for function four fellas flew fast for fifty five thousand feet fetching fluke & flounder for Fridays Fox Festival Fun. This Slim fitting Three-Button whale Corduroy Blazer is a great fit for fit guys with all the right details from woven leather buttons to corresponding suede elbow patches. Many thanks to Uncle Ralph. This Dreamy scout green garment dyed oxford is slim and brought to you in part by none other Than Gant Rugger. 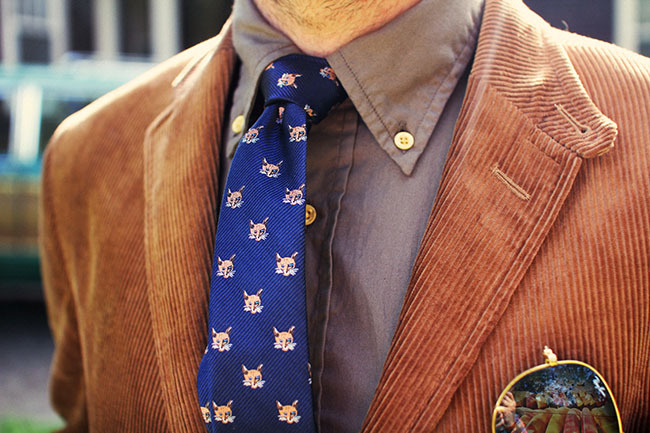 Silk Fox tie you spy is by KJP. I have acquainted myself with these here Barberry slim chinos by Jack Wills and must say they are of the highest quality chino cloth I've come across in awhile. Sitting low on the hips and just slim enough on the leg I Look forward to plucking myself 'nother pair soon. I think my belt was a KJP to... or it was a Leatherman. 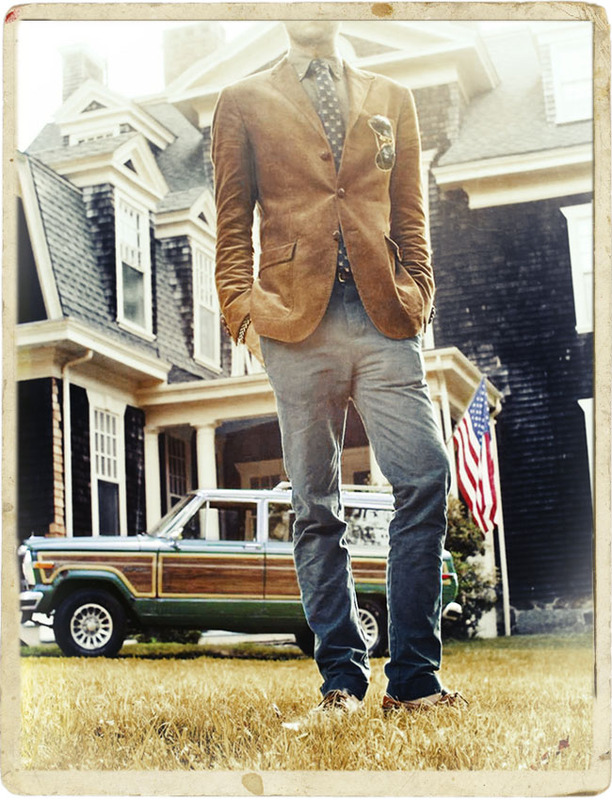 Was probably a KJP Madras Peyton though. I am very glad you are back. I was beginning to lose hope. Lets get some consistency, stop taking so many hiatuses! Maybe a post a month?